Programme 4 in the series features contributions from Catherine Joyce form the Blanchardstown Travellers Group and Michael McDonagh of Meath Traveller Workshop. 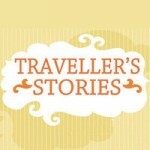 The programme looks at Traveller accommodation, health & social aspects of Traveller life. The programme features music from The Raineys and The Traveller and Fellow Traveller CD compilations.